The world is growing at a break-neck speed today and with rapid urbanization, information and technology, it is demanding a constantly changing human intellect. To face these transformations, the upcoming generations need to be molded in a way that they can cope efficiently with the variations. Education can help initiate this change by altering the mindsets and outlook of people around the world. We believe that architecture and design can considerably help in rebuilding children’s lives around the world by bringing education closer to them. Spaces have a great impact on the lives of the people that inhabit them and by designing one that imparts education, millions of children can be benefited. It is our responsibility as designers to redefine our role in the process of tackling social issues using design as a primary tool. The participants are to design a multifunctional educational space to accommodate a capacity of 200 students from the age group of 5 to 11 years. These spaces should also function as an interactive space for the local community post-school hours. The chosen site should be in a region where education is inaccessible. The built-up area of the school should not exceed 500 square meters. Concept Innovation: The participants have to design innovative learning spaces and make them exceptional, as compared to the conventional schools today. Site Selection: The participants are to select a remote location that needs access to education. The entries will be evaluated on the basis of the site justification given. Spatial Design: The entries will be judged on the basis of creativity displayed in the spatial design and configuration of spaces. Multipurpose Utility: The utility of the spaces apart from the pre-requisite educational purpose will be evaluated. The participants are to innovatively design the multi-purpose utility of the spaces. 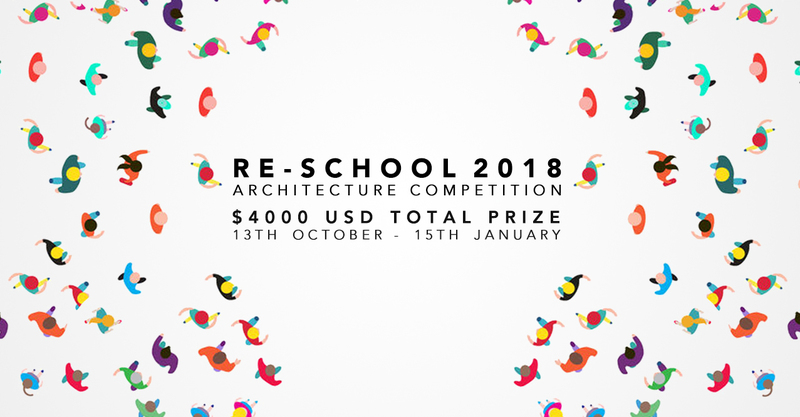 RE School 2018 ARCHITECTURE DESIGN is open to all. We invite architects, students, engineers, product designers, thinkers, companies, organizations and everyone interested in the mission of the competition to submit their ideas. No professional qualifications are necessary. To join this competition register with us on reschool.volzero.com.